Feb 15, 2016; Los Angeles, CA, USA; Lady Gaga performs a tribute to David Bowie during the 58th Grammy Awards at the Staples Center. When David Bowie died Jan. 10, 2016, he left a lighting bolt-shaped hole in the hearts of his fans. Following his death, many celebrities paid tribute to the legendary singer through musical performances. 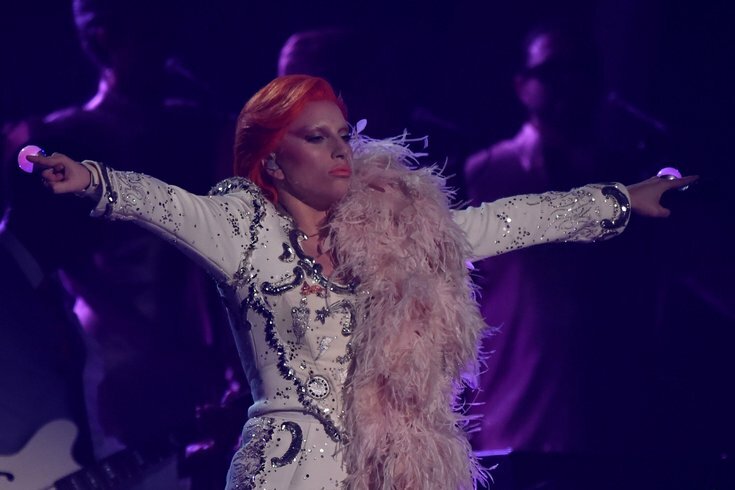 One of the biggest was Lady Gaga's performance of Bowie’s greatest hits at the 58th Annual Grammy Awards. On Tuesday, Jan. 9, you can perform your own tribute to the Starman during BowieOke at Johnny Brenda's. No need to be an amazing singer, so long as you have a little Ziggy Stardust swagger. Choose your favorite Bowie song and belt it out on stage, or watch others perform karaoke. The event, which is free to attend, is part of Philly Loves Bowie Week.